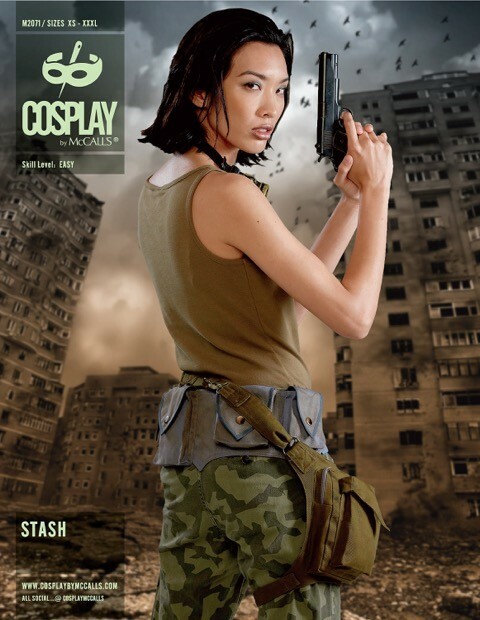 The next wave of COSPLAY BY MCCALL’S will be available at 1pm on CosplaybyMcCalls.com for purchase. This will be the 8th set of patterns released by the pattern making company since the line was launched in February 2016. Previous releases focused on specific designs and character concepts whereas this wave of patterns emphasizes the need for accessories. You won’t find capes or full garments here, but instead you will be able to make your own utility belts, straps, leggings, and bolero tops. 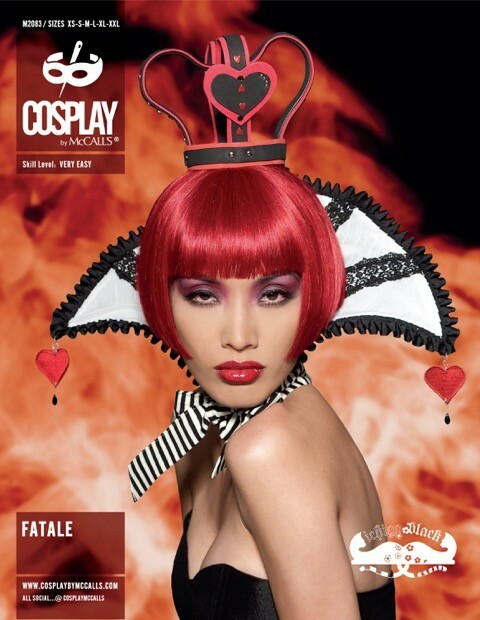 Certainly there is room in your cosplay closet for more accessories! Fun Easy Accessories. Crown and Collar for a Mad Queen, Shoulder Armor for Fantasy Characters and Cool Leggings to add to a steampunk or burlesque ensemble. Also includes tips on working with Craft Foam and Craft Glue. Even Superheros need to be organized. Collection of belts and pouches to Mix and Match; great for SuperHeros/Villians, Sci-Fi Characters and Steampunk. Versatile bolero Jackets with 6 Variations on sleeves and collars. Great for Anime, Diesel Punk, Steampunk, Gaming Characters. Be sure to check back for reviews of each pattern!